I have been holding off pushing the button to buy a mate 20 pro but with all the green screen issues i have been hesitant to do so. Now it appears that a new batch is making its way into the supply chain I'm getting close again bit it then occurred to me that I need Wi-Fi calling to work on what ever device I get. Looking at the Vodafone community they seem to suggest that it was approved from firmware .122 onwards. So question is, does anyone have it working. These are the current supported handsets on Vodafone for WiFi calling. Check the link below. @Lynx could you send a screen shot to show the WiFi calling on your phone and where it resides on your handsets settings? I'm on Vodafone but bought my phone outright from Amazon. Had 1 software update since having this handset but WiFi calling isn't available. Yes it is. I double checked as it is working fine with my iPhone X. @B3BP Thanks for checking, guess this is the final nail in the coffin. A real shame as it was about the only Android phone that ticked all the boxes for me. Just a note to say WiFi calling works absolutely fine on the Three network on the mate 20 Pro so it's obviously a Vodafone issue as opposed to the handset. @Jase thanks for the info. Will have a look to see what contract deals 3 have. Not particularly tied to voda but they do have good roaming and as I'm off to the USA after Christmas was a big reason to stay, but then wifi calling is a bigger reason as where I live no network has any signal, only left 02 when they dropped TuGo. Works perfect on my Vodafone mate 20 pro. I imagine it's the same place on all mate 20 Pros, under wireless and network settings. Then under the mobile network settings. Enable WiFi calling. But are you on Vodafone or Three network? I was hoping @Lynx can send a screenshot as they are on Vodafone. I'll give Vodafone another call in the morning. Thanks again. That's weird considering you bought an unlocked phone, is the setting just missing completely or does it say disabled? 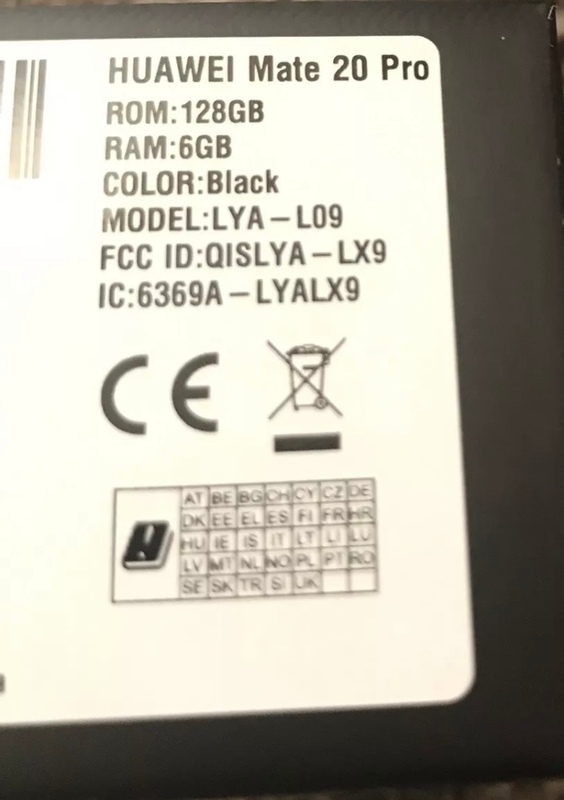 Actually out of curiosity what model number is your phone, mines is the LYA-L09. Just wondering if it's a model specific thing. Same as yours. If I remember correctly Three is the only UK network currently supporting the WiFi calling on the Mate 20 Pro. Unless the other person can prove me wrong. Not a Biggie for me as my signal is very good where I am. Yeah exactly the same as me, must be disabled when it detects a Vodafone SIM. Be interesting to see if the setting magically appears using a three SIM. Wifi Calling is definitely enabled on my phone, the setting however is not present in mobile networks, it was present in .108 software so I expect it to return in a future release. O2 have WiFi calling on select handsets. I'm on O2 and I don't have it there to select? Went on the O2 app & allowed me to request to activate WiFi calling. I know o2 only used to support o2 branded phones so if you got it from o2 hopefully they will sort it for you. That was the reason I left o2 last year, they removed tugo and wouldn't add WiFi calling to my stock s8. Wifi calling works on Vodafone with the Mate 20 Lite. I have recently joined Vodafone but the signal at my home is virtually non existent. I’ve been told by Vodafone that I can use WiFi calling with my P10 lite but I dont appear to have the option for WiFi calling in my Phone’s menu. Can anyone advise?